Minivans are rightly considered a top choice when ferrying passengers, so the best vans with captain’s chairs are those that take that role seriously, providing a comfortable, individualized setting for second-row occupants, sometimes bolstered by rear-seat climate and audio controls, as well as available Blu-ray/DVD entertainment centers. 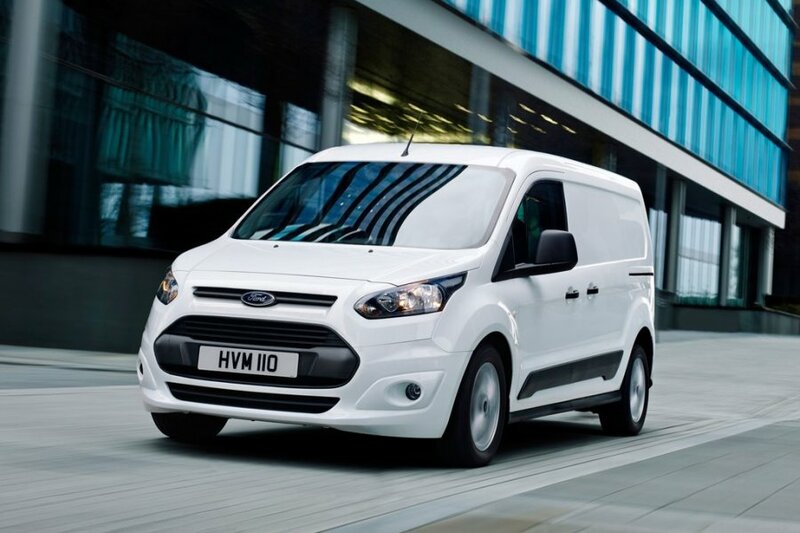 Yet because these vehicles also are relied on for cargo-carrying duty, engineers have to ensure even those seats can be simply folded out of the way to maximize payload. It’s a challenge, with automakers taking different routes to achieve the same goals, but that works to the customer’s benefit, since it means there’s a wide range of choices to meet individual owner preferences. Which is a particularly good thing when you realize there are just six picks that meet those criteria. 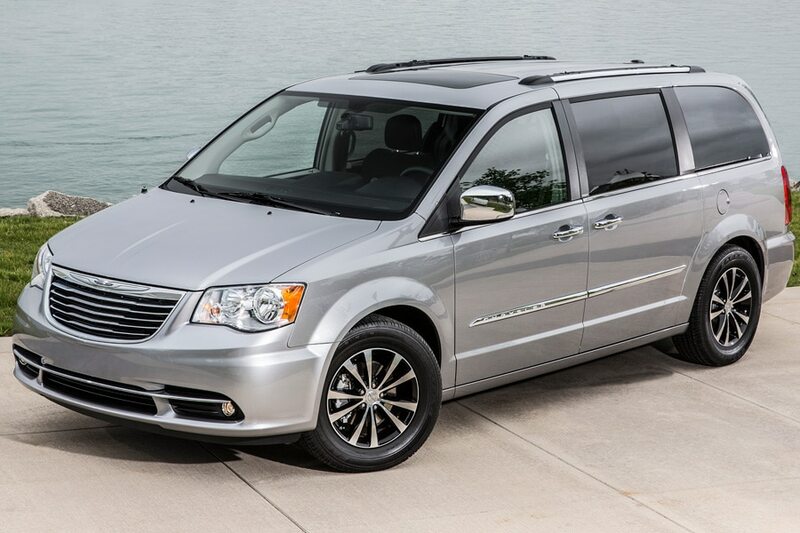 The 2016 Chrysler Town & Country is clear evidence of how customer expectations have changed over the years to demand more luxuries from more kinds of vehicles than just premium sedans. Thus, the range-topper of the Town & Country lineup—the Limited Platinum edition—showcases a heated second row, trimmed in supple Nappa leather, to stand out as one of the country’s best vans with captain’s chairs. Of course, those seats also rely on the automaker’s signature “Stow ‘n Go” technology for one-touch folding, as does the third row, and there’s a maximum cargo volume of 143.8 cubic feet available with both sets of seats hidden away. That model additionally comes standard with Chrysler’s dual-screen rear-seat entertainment hub with compatibility for both Blu-Ray discs and DVDs; the setup also provides HDMI connections for gamers on the go. The Town & Country can furnish a mobile Wi-Fi hotspot, too, albeit with 3G connectivity. The 2016 Honda Odyssey brings a unique solution to our roster of the best vans with captain’s chairs: Owners can fold down the second row’s center “jump” seat to create a cupholder-and-storage console, then deploy the outboard seats in Honda’s “wide mode,” moving those chairs each 1.5 inches to the side for an especially spacious passenger environment. Odyssey owners—and rear-seat passengers in particular—also will enjoy another high-value enhancement for the new model year, thanks to the 2016 Special Edition. It bundles Honda’s rear entertainment system with the HondaVAC in-vehicle vacuum cleaner, keeping passengers busy on long road trips and allowing them to clean up after themselves once they reach their destination. Those rear captain’s chairs also can be trimmed with leather in upper-grade Odyssey models, while the Touring Elite enhances the DVD-viewing experience with a 16.2-inch widescreen display that serves up a higher-resolution picture. 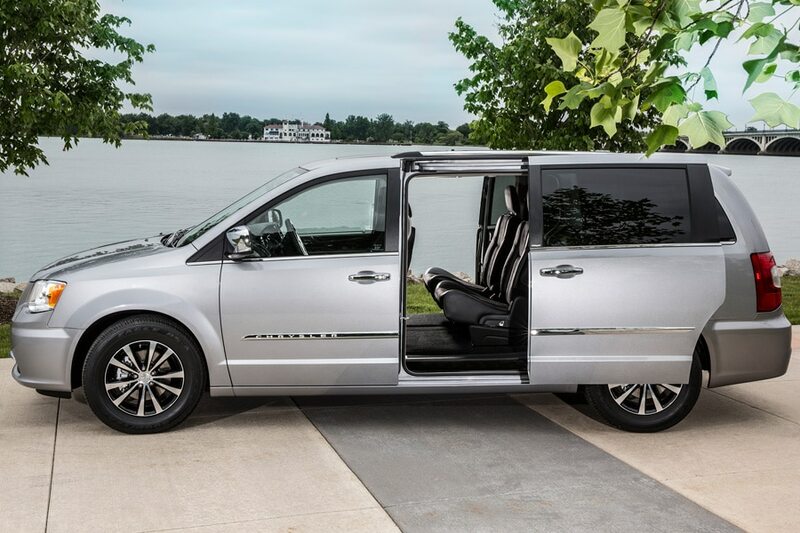 The Swagger Wagon gets its swagger on even when it comes to seating, backed by available “lounge” seats that serve up superior second-row comfort. 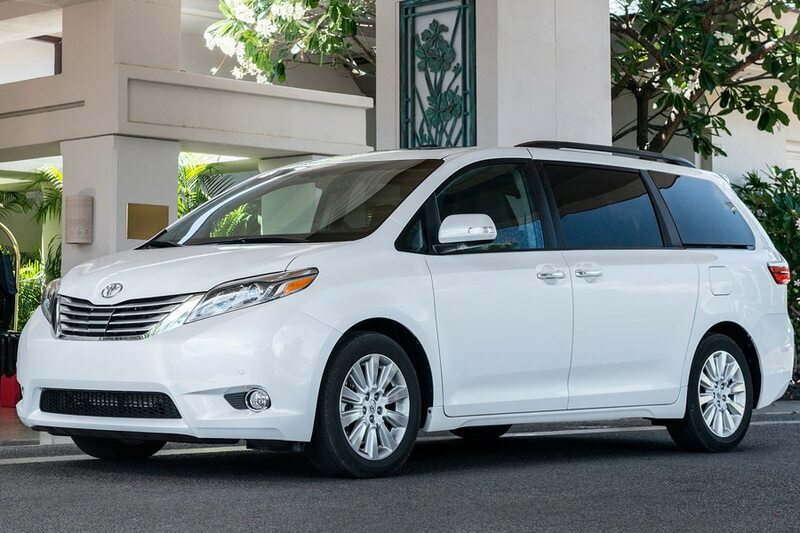 Indeed, they provide an important advantage for the 2016 Toyota Sienna as compared to most other vans with captain’s chairs, because those upgraded middle seats come with dedicated leg and foot support for superior comfort. Traditional captain’s seats are offered as well, as are leather surfaces and a notably long fore-and-aft adjustment of 23 inches. Pushed all the way back, those seats supply incredible second-row legroom; pulled all the way forward, children are that much closer to adult supervision, and there’s wide-open access to the third row. 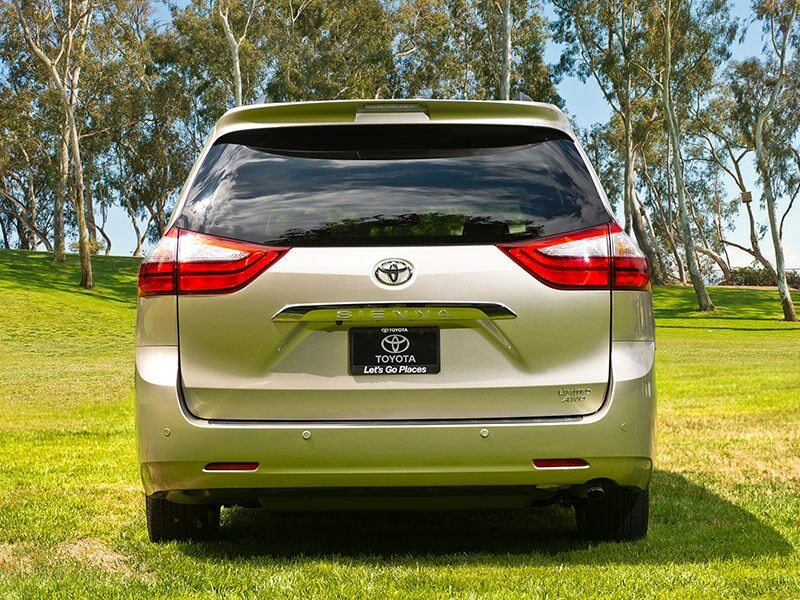 Conversely, in its maximum cargo configuration, the Sienna can fit 150 cubic feet of gear, groceries or almost anything else. 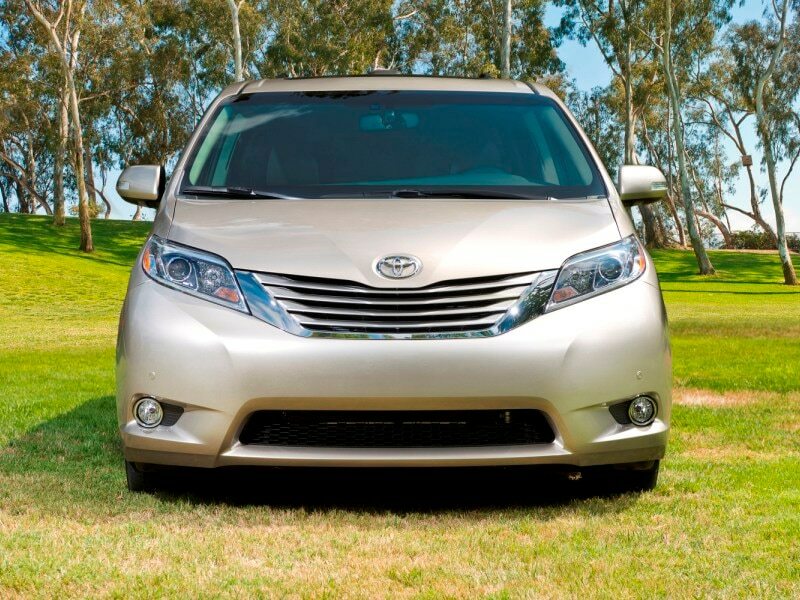 Nor should folks forget that Toyota’s minivan is the only one currently on the market to offer all-wheel drive. The 2016 Dodge Grand Caravan is the bargain of the best vans with captain’s chairs. After all, the Grand Caravan SE costs a mere $24,295, while no other minivan in the country starts south of $26,000. (And that’s not even the least-expensive Dodge’s least-expensive entry in the segment; that choice, with a second-row bench for eight-passenger seating, opens at $21,795.) 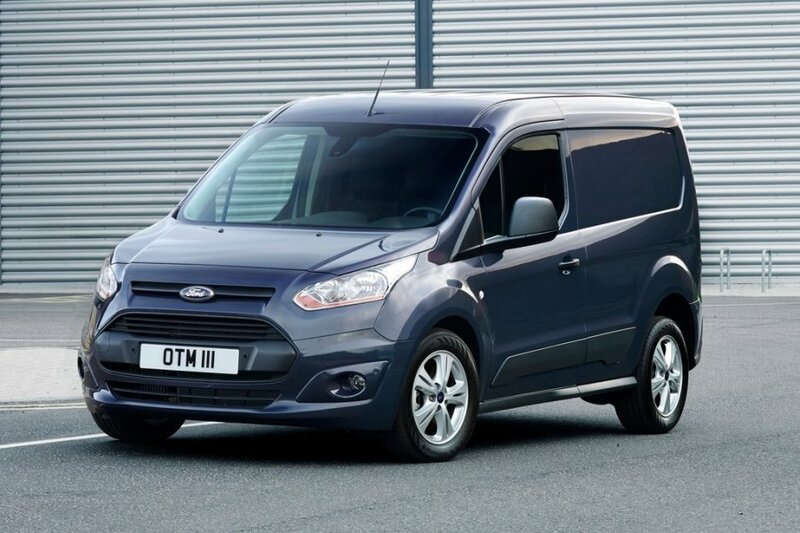 As for the SE edition, those seats naturally feature one-touch Stow ‘n Go functionality. In more premium Grand Caravan trims, occupants are coddled by black Torino leather with suede inserts, with the seat design further detailed by silver accent stitching. 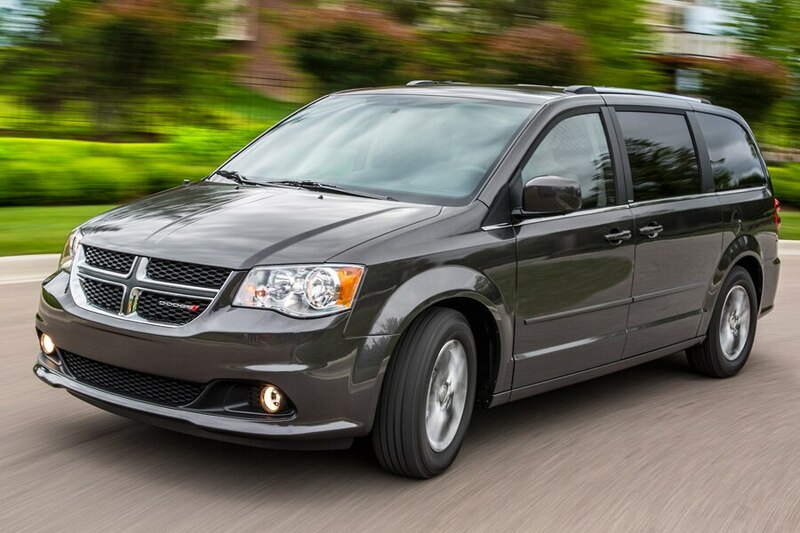 Finally, owners have a surprising option that certainly helps the Grand Caravan compete against Toyota in the swagger department: one of the Dodge brand’s popular Blacktop appearance packages, complete with 17-inch polished-aluminum wheels with Gloss Black pockets, a Gloss Black grille, and model-specific all-black cabin. 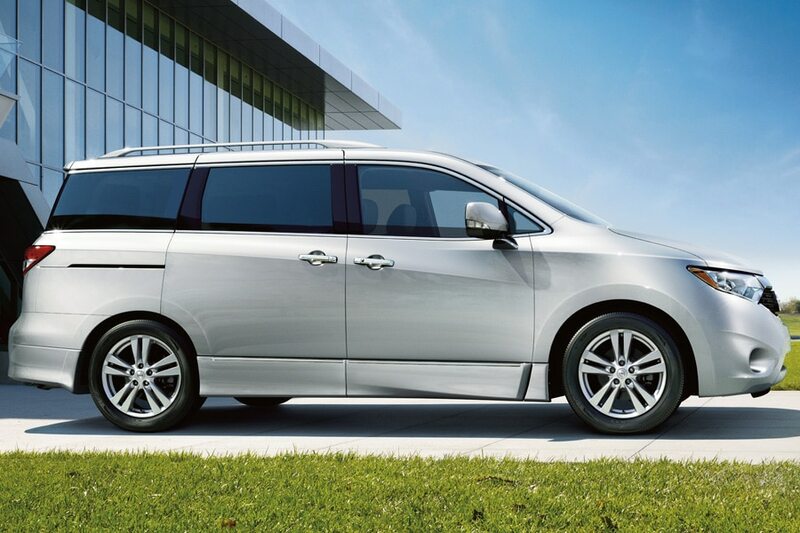 The 2016 Nissan Quest wins a place among the best vans with captain’s chairs at least partly because the 2015 model was so good at winning third-party quality awards. 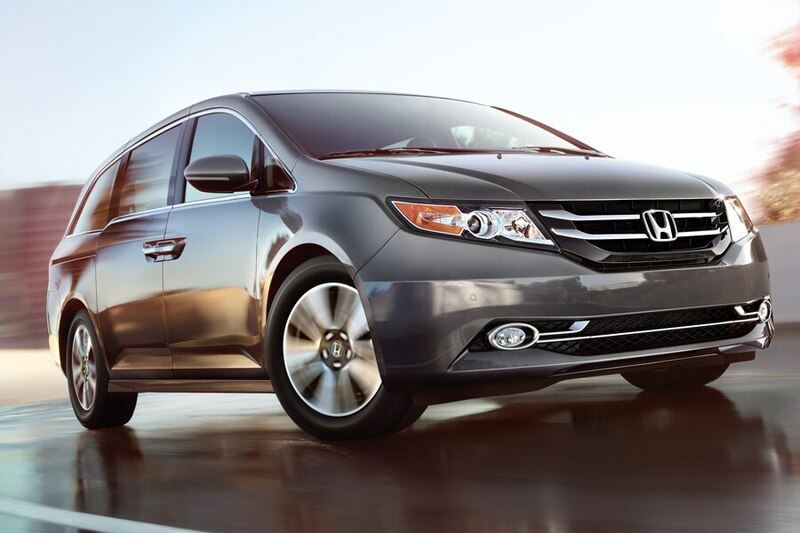 In leading the minivan segment in both the 2015 AutoPacific Vehicle Satisfaction Awards and the J.D. Power Initial Quality Study, the Quest proved it could satisfy the relatively few customers who are willing to go outside the four best-selling usual suspects. The Quest’s exclusivity also is complemented by the same sort of family-friendly features found in the more mainstream selections—such as a blind-spot monitor and rear-/multi-view camera systems—along with innovations like an advanced climate control system with Nissan’s “Plasmacluster” air purifier and a grape-scented polyphenol filter. The Quest also leverages a distinctive sliding-door rail system that enables a noticeably lower step-in height than in many Nissan rivals, and it boasts a hidden, always available underfloor storage bin behind the third row. 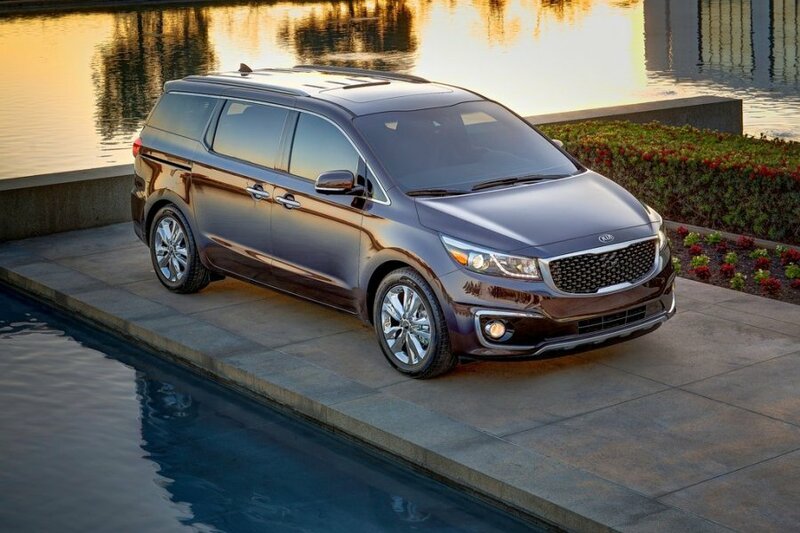 A complete makeover for the 2015 model year keeps the 2016 Kia Sedona firmly entrenched among the best vans with captain’s chairs. 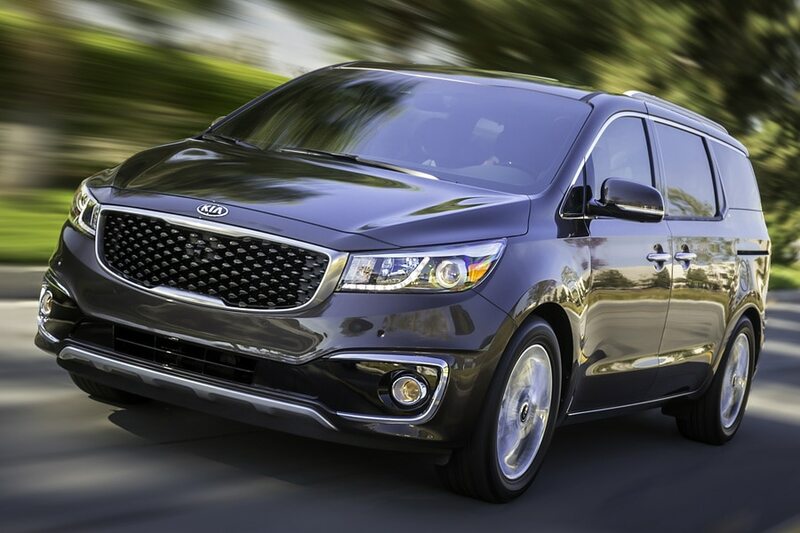 As a reminder, that style-focused redesign saw the Sedona re-skinned with a more appropriately Kia-esque exterior, highlighted by a vertical, SUV-like front grille and an unapologetically aggressive face. Moreover, the Sedona can cater to its second-row captains with “First Class” seating that integrates retractable leg rests, premium headrests, seat-cushion heaters and choice of two surfaces. Standard is a stain-, static- and microbe-resistant “YES Essentials” fabric, but owners with a taste for luxury will be able to lap up the same chromium-free Nappa leather comfort that distinguishes the Kia K900 flagship Sedan. On the topic of top-notch cabins, it’s also worth remembering that the Sedona SXL earned a spot on the WardsAuto 10 Best Interiors list for the 2015 model year.